Comfortable three bedroom home, with internal access to double garage tastefully furnished with large decks offering magnificant views of Reef Point, Shipwreck Bay, Ahipara and Ninety Mile Beach. Two minutes walk to a beautiful sandy surf beach with safe swimming, and rock pools that are warm and inviting for children to swim and play in. Excellent fishing and diving or surf in one of New Zealand's premium surfing locations. Hire a quad bike and experience the amazing gum fields, sand dunes and riding along the beach. Close to cafe/restaurant and five minutes drive to the unique Links Golf Club. 10 minutes to the township of Kaitaia and 20 minutes to Kaitaia Airport. Check in time 2pm or earlier by arrangement. All linen supplied except beach towels. Smoking outside only please. Great house! The view is amazing. Great house! The view is amazing. We could check the surf at the points from the deck :) Very clean, comfortable and spacious house. The double garage was awesome for storing all our surfing and kitesurfing gear safely. Comfy, modern, open and clean. Comfy, modern, open and clean. Beautiful location, amazing view and woke to the sound of crashing waves. Had everything we needed...even had the curry powder I had forgotten to buy ??. We'll be back. 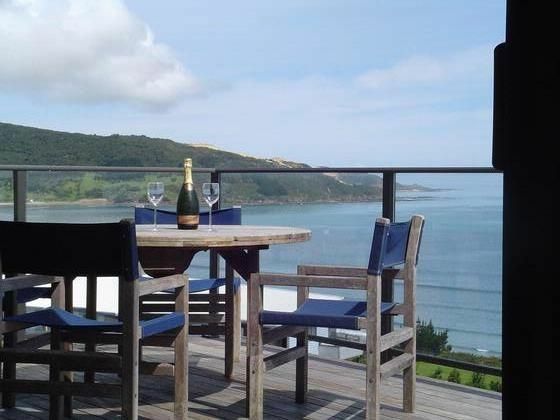 Amazing property, Clean tidy and amazing views!